Welcome to the last post in the My Mountain series (for the time being at least). When I had the idea for this series back in January I had no idea I would get such an amazing response! I’m so happy to have hosted posts from so many wonderfully honest parents who have covered such a wide variety of eye-opening topics. Parenting must surely be the most rewarding job on the planet. We, as parents, all know that surge of love, seeing your child ride a bike after you’ve held their saddle umpteen times, or overhearing them using gorgeous manners unprompted, or simply being woken in the morning by a squeezy hug, and a smile that lights up your heart. Yes, parenting is a privilege afforded to us lucky ones, and yet, these tiny people who consume our hearts so much, have the ability to cause levels of frustration, and indeed stress and anger, that can literally be second to none. My house is a busy one. I’ve been blessed with three healthy children – something I try not to take for granted, as I know there are many who would dearly love to have even just the one. It’s all boys here and they’re at a busy age, a ten year old, followed in quick succession by his nine year old brother, and then our “baby” of six. They say there’s a special place reserved in Heaven for moms of all boys, and man, do I believe that now, ten years later! But I guess it doesn’t matter what your family dynamic is, all young children, girls, boys, only children, or numerous siblings, raising our offspring can make frustration levels reach epic highs. So what’s the best way to manage this? We all want to raise secure, well rounded individuals, who are happy and have good self-esteem. And yet time and time again, I, for instance, fall foul of my good intentions, and end up shouting angrily at them, because they’re just not complying the way I think they should! So over the years, I’ve tried to do my research. There has to be better ways than just shouting matches, tears and storming off on each other. I want my vocal chords to no longer ache! Here are a few things I try. I’m sure we have all heard this from our own parents, but it definitely does work. When I overhear or witness behaviour from my troop that make my hackles rise, I really try to pause, and wonder, is this worth the fight? Few things feel as bad as hearing myself whine and nag all day long, and then, when they’re all tucked up in bed, I’m so sad if I find it hard to remember if I used a kind word or voice with them that day. There are so many things, that if I simply just let it go, life would still go on just fine. If I take a breath and don’t sweat the small stuff, I notice a few small advantages. I don’t feel as bad. My son stays happy as he is, and the world doesn’t end. Is my floor a little muddier than I’d really wanted? Maybe. Did my younger two sons wrestle like ninjas instead of tidying away their toys? Perhaps, but in the long run, we’re all feeling a little happier. And that’s just it, if I look at the bigger picture, their happiness and my sanity is maybe just more important than my angry intervention this time. Ignore the bad, and praise the good. For some reason, my youngest son likes me to dress him every morning. Now, at nearly 7, he’s well capable of pulling on clean pants, shorts and t shirt. And when we’re running out the door to school, it would be much easier for me, and the whole family, if he could just do this himself. So, after weeks of begging, cajoling, raising eyes, doing it unwillingly (and making sure he knows it – not so proud moment), and growling at him, I’ve started asking him to just pop his t shirt on, and I’ll do the rest. When this happens, we sure do party when he does – even though this party probably takes longer than me actually dressing him would have taken, its begun a very slow, but very important process of him being happy to take on this task, finally!, himself. Praise, praise, praise this small but positive step towards desirable behavior. Other times, the three of them are strapped into the back of the car, and the bickering is incredible, and I’m white knuckling the steering wheel, inwardly seething and swearing foul words silently. Out of the blue, someone says something very tiny, but halfway decent and I swoop down on that. “What a lovely thing to say!”, “What a kind boy you are to think of that!”, “Your heart must be so big to have said that” – soon they are outdoing each other with kindness, for the next while. Had I blown up two minutes earlier, reacting to the bad behaviour, which believe me, many times I have, we would have all been heading home angry and upset. Pay no heed to that behavior we don’t like – don’t grant it the attention you think it deserves, but celebrate and embrace any tiny positive at all, and hopefully, next time, these positive will happen a bit more, little by little. There are obviously times when there is behavior that I just can’t ignore, that really needs to be addressed. While it would be lovely to ignore all bad things, some stuff just has to be dealt with, to set limits, explain boundaries, and hopefully guide my charges down a better path. I’ve a few key tips here, firstly, to think before I speak. I may be ready to scream and shout at the child in question, if I’m pretty appalled at the incident or behaviour, but taking a breath, and pausing momentarily really helps me. Following that, I try to separate the action from the child, and I try to talk about my feelings about the action, for example, “It makes me so sad, when you do something like that”. This is to make sure he knows I’m sad about what happened, but it’s not he, as a person, that makes me sad, rather what he did. 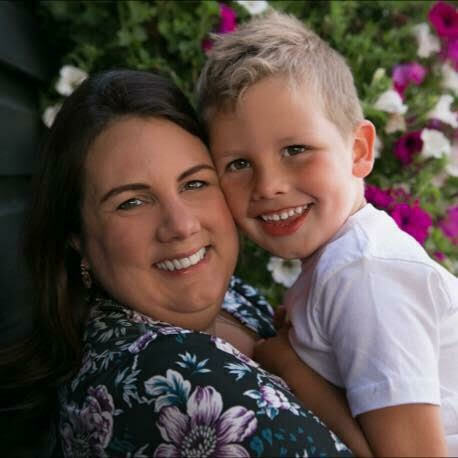 “I get scared when you take risks like that”, “I’m disappointed and hurt that this happened” – I’m just trying to express that I didn’t like what happened, but to try and ensure my child knows I still love him. “I’m upset at the moment, I might be able to talk better in a few minutes”, is also a nice and honest way of telling them how I feel and helping me deal better with the situation. I am sure we have all had days when we are about to burst with frustration or anger at our children’s behavior. Therefore, we need to make sure we are looking after ourselves too. I personally find physical exercise is my therapy, I get a short break from my little darlings, and I come home looking forward to being with them again, and hopefully with a fresh amount of patience. An hour in the gym reaps many rewards for me. There are also those days that it’s impossible to take a time out from parenting, if we’re doing it alone and we’ve no one to leave them with, or maybe there just aren’t enough hours in the day. A phonecall with an empathetic ear is always nice, or indeed an online forum with parents of similar aged children can provide some great relief. On such forums, I can post any queries or worries I have and be met with a whole host of answers. Sometimes just trawling through other people’s posts can be helpful, and can often provide a good giggle. And giggling to myself can make me want to giggle with others – and who better to giggle with than my three boys – and that’s a win win situation for us all. Jennifer Taylor is the creator and head blogger at MomTricks, the new mom pregnancy survival guide. Follow her on Twitter, Facebook & Pinterest! Thanks again to everyone who has contributed to the series, as well as everyone who has read and commented. Parenting is an amazing experience but it’s also a very challenging one and the sheer volume of parents who have bravely shared their stories here is testament to that. But if we support each other all challenges can seem just a little more manageable. I am totally going to try the dressing tip on my 6.5 year old who still wants me to dress him every morning! always grateful for this space you created Laura. 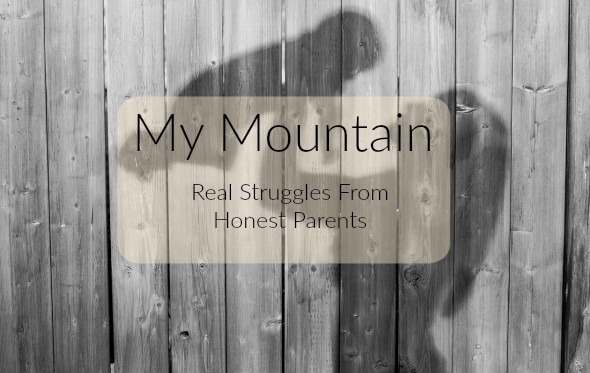 An honest glimpse into parenting and everything in between…. Some great advice here. I lose a lot of these techniques as a teacher. It makes me so sad when kids call themselves bad or naughty. It also sometimes gives them an excuse to behave that way. I like to offer them a choice. They can choose to continue the inappropriate behavior and receive a consequence or they can stop and come and join in with whatever they’re supposed to be doing. It’s a good way for older kids to own their behaviour and save face when they choose to back down rather than me forcing them to. Iâ€™m amazed, I have to admit. Rarely do I encounter a blog thatâ€™s equally educative and engaging, and let me tell you, you’ve hit the nail on the head. The problem is something that not enough folks are speaking inntglileetly about. Now i’m very happy I stumbled across this in my hunt for something concerning this.